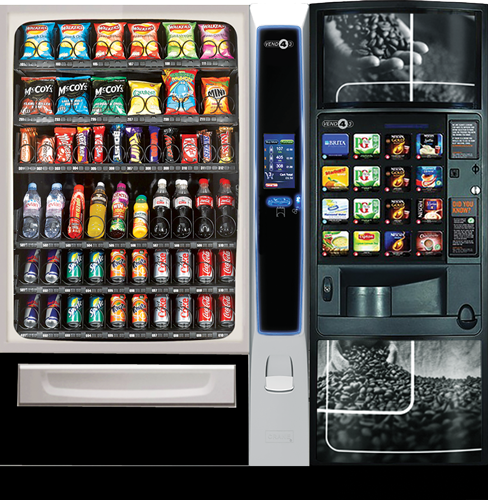 The simplest setup for your vending needs. On the left you have a Merchant 6 with hold your snacks at the top and below that your confectionery then your bottled drinks and on the bottom two rows your canned drinks. On the right you have a Hot drinks Machine, allowing you to buy teas, coffees and other hot beverages.